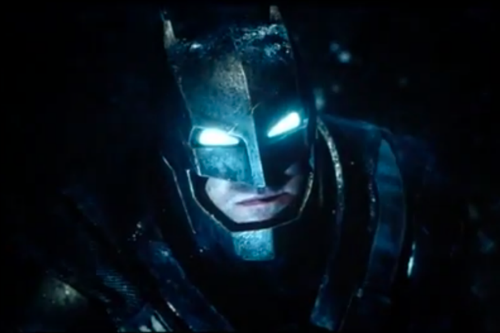 -There’s so much nerd rage over the leaked Batman vs Superman trailer. You can watch it here until it gets pulled. It’s so dark — like, literally dark. I squinted my way through that whole thing. -In other blockbuster news, this article about why Michelle MacLaren dropped out of directing the Wonder Woman movie is disturbing. What studio opts for more a more “character-driven story” over epic action? That studio does not exist. Were they worried that a woman couldn’t pull off set pieces and should stick to scenes with character talking about their feelings? -Just when you thought it was over: WikiLeaks has published 173,000 leaked emails from the Sony hack. Highlights include Cameron Crowe cracking a joke about Bruce Jenner’s transition and calling Bradley Cooper an “odd bird,” and David O. Russell apparently got so rough with Amy Adams that Christian Bale had to come to her defense. –John Krasinski doing the “Bye Bye Bye” move on Lip Sync Battle made my week. –Michael Buble is trying to walk back that Instagram photo. -Guys, we almost lived in a world where Josh Hartnett played Batman. Mull that over for a sec. –Michael Douglas and Catherine Zeta-Jones confirmed that they’re back together. -Good news: Sarah Jessica Parker is coming back to HBO. Better news: it’s not for another SATC movie. –Guillermo del Toro confirms Pacific Rim 2 is coming April 2017. Bring on more Idris! -Sundance smash Dope has a new trailer.